My name is Jerry Bailey and I am just getting started in aquaculture in Ethiopia which is a landlocked country and has no access to salt water. As of now, we are planning to start out farm ponds with Tilapia and Red Claw Crayfish. I have tried to search for a species of freshwater prawn of commercial size that could complete its entire lifecycle to include hatchery phase in freshwater. I have only read about Macrobrachium Amazonicum as being a possible species but have not found any source of post larvae to experiment with. Grateful if you could let me know if you know of any total freshwater prawns that reach at least 8 cm in length that I might consider. Most grateful for your assistance. Before investing in a crayfish farming venture in Ethiopia, consider Africa's dark past: there are no crayfish in Africa today because of a virulent Crayfish Plague that began in the middle of the last millennium. The Plague originated in the Congo Basin in the 13th or 14th century. Jespersen (1981) cites an origin in Lac Tumba or Lac Mai-Ndombe, while Dench (1984) postulates an origin in the Atlantic. Recent molecular studies by Sibelius (2002) and Schröder (2005) show that the bacteria in question — Aquavirex negropontis — is virtually identical with a non-disease causing bacteria found endemically in coastal lobster populations. 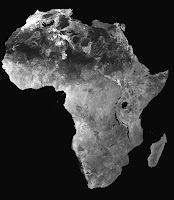 When the Kongo Empire was exposed to European trade, the stage was set for Black River Mold, as it was called then, to spread over the entire continent. By the 18th century only Mozambique and Tanzania had any crayfish populations; by the time of the Great War, modern European colonialism had diminished these populations as well. Only Madagascar, geographically isolated from the continent, has an extant crayfish population. Today, though farming is done in some areas, crayfish export from Africa is strictly controlled. Farming itself is an expensive prospect as every aspect of it must be carefully monitored and kept completely separate from natural environments to prevent introduction of the Plague to farming stocks. Today there are few alternatives though research into immunity, both inherent and genetically engineered, is progressing. At this time data concerning M. amazonicum are lacking but some other species seem viable given proper environmental considerations. I have a question about the electric blue lobsters. I know that right after they molt, they are kinda pinkish, but what if they stay pinkish for over a week after molting? He isn't eating right but seems healthy. Is it possible that he isn't hardening for some reason? My friend has over 50 blue lobsters, plus he now has hundreds of babies, none of which look pink except right after molting. Is it that the water is too warm for them? I have 2-3" blue lobsters in a 20 gallon tank and they both pretty much avoid each other. There are no signs of fighting and the other blue lobster is blue as can be. Also, should you let them eat their own shell or take it out after they molt? I would appreciate it if you could address this issue for me and give me some tips. Thank you for your time! To address the least important question first, the old shell should be left for the cray to munch on. In this way the crayfish replenishes its low stores of calcium carbonate, which it uses to harden a new shell. Remove it only after the cray ceases to eat it lest it spoil the water. Your crayfish's change, however, is a much more complicated topic. Genderqueer theory is one drawn from many traditions, movements, and cultures from the last few thousands of years. Current genderqueer activism and lifestyles deal primarily with equal rights and support in Western and emerging Third World societies, which are almost usually hostile to the concept. Crayfish who wish to question their physical and self-identified genders don't have it any easier than humans do. Crayfish culture is a harsh, brutal one based on male/female breeding. foodstuff acquisition, and territoriality. As such, violence is inherent to crayfish interaction and a cray that strays outside the male/female opposition might find life difficult. For example, a recent study done by the Kansas Institute of Astacology housed a population of five Devil Crayfish (Cambarus diogenes) in a hundred gallon tank. Their diet requirements were met adequately and the population was stable. When one female cray was injected with a special chemical and began exhibiting male behavior, the dominant male intervened and both died in brutal combat. The three remaining females then fought for dominance and eventually died of their injuries. To avoid such turmoil in your own aquaria, keep a keen watch out for genderqueer crays. More obvious signs, such as the shell color change you described, are good tip-offs, but more subtle differences such as cross-gender association (i.e. your male acting like a female or vice versa) are important too. If you have identified a possible genderqueer, remove it at once if its community is unstable. A solitary cray housed without other crayfish won't have much to worry about but one in a community tank as cited above would be at risk of violent reprisals. A simple five or ten gallon tank with water taken from the original aquarium would work until your cray has sorted out his identity. Above all else, it is important to remember that your crayfish, despite questioning or adjusting its gender identity, is still a crayfish and as such deserves the same rights and responsibilities as any other cray. Attend to it with dignity and respect to ease its progress down a non-traditional and sometimes scary path.